Content marketing may seem complicated—and if you’re trying to implement lots of strange techniques or are so focused on the “marketing” aspect and not enough on the content itself, it is going to be complicated. If your content marketing campaign isn’t working, it could be due to a number of factors. Before you just start changing your whole strategy, look over this list and then diagnose your campaign, so you can find the problem areas and fix them. 1. Your content is too self-centered. The last thing your customers care about is you. Sure, they might occasionally read your “About” page, but what consumers really care about are themselves and their problems and learning how your business can help them solve their problems. If the focus of your content is just explaining the features of your company, rather than explaining the benefits of working with you (e.g. how you can solve their problems), your content is likely not going to be as effective as it would be if it was more client or customer-centered. 2. You are not putting enough effort into creating it. It’s not enough to just be writing blogs. You have to be thinking about topics that your readers want to learn about and engaging ways to communicate the information you want to share. Just a block of text is not going to cut it. The more valuable your content is, the more effective it is going to be in a marketing capacity. Just posting content regularly is not going to cut it. Look at what your competitors are doing, what techniques they are using to make their content interesting and effective, and start trying something new. 3. You’re not outsourcing the writing of your blogs. Many businesses try to keep the writing in-house. Who knows your business better than someone on your staff, right? The truth is, however, that if you have not hired a writer specifically just to handle all of your communications, you are probably wasting that staff member’s time and the money you are investing into content marketing. Content marketing almost always should be outsourced to a company or freelancer who has the time and the expertise to create interesting, compelling blogs, articles, updates, etc. that speak to your brand and to your industry. 4. Your message is not consistent. One of the reasons your content marketing might be not only not working, but actually driving people away from your brand is its inconsistency. This can happen if you have writing tasks delegated to more than one person in your company or if you are just not concerned about whether or not the message you are putting out is streamlined and effective. Because your content marketing campaign is one of your company’s loudest voices in the market, you need to make sure that it is saying only what you really want it to say. 5. You are only using one channel. If you are only blogging or only sending out newsletters or only curating content for social media feeds, you are likely only reaching out to one segment of your potential audience. Because content marketing truly is a form of marketing, you want to spread your message as far and as wide as you can. Not only will this allow you to reach out to more people, diversifying your channels means you are more likely to be telling your story in a way that solves someone’s problem. Not everyone wants to sign up for an email newsletter, but they might be willing to bookmark a blog. 6. Your content has too many faces. If you are the voice of your company, you need to be the author of your content, too, or at least, you need to take ownership of that content, even if you did not write it. If the content appears under many different names, and none of them are the names of people that potential customers will be able to recognize or find in connection to your business, you are not sending out a consistent message. 7. Your topic is too broad. If you are trying to be the expert in too many different niches, you’re not going to look like the expert in any of those niches. While it’s fine to write about topics related to yours, your readers are going to come to your blog, newsletter, email list, etc. because they want to hear about your niche. Too many posts or articles about other topics and you’ll start to lose readers, even if your content was originally successful. 8. You don’t post regularly. If you are not staying on top of a regular posting schedule, either because you do not have time, energy, or topics to write regular posts, emails, etc., or because your ghostwriter has an inconsistent schedule, your content marketing campaign is not going to be successful. Because those that sign up for your content will expect it on a regular basis, and if it comes sporadically, they’ll either forget about it or actively detach themselves from you. 9. Your content does not call people to action. See what I did there? 🙂 It may seem pushy to include a call to action in a blog post or email, and there are definitely times when it is not appropriate, but if your content doesn’t spur the reader to action, then what’s the point of having a content marketing campaign? 10. Your content isn’t good enough. Here’s the harshest, but truest reason your campaign might be failing. You don’t have to be Ernest Hemingway, but if your content isn’t better than, or at least different from, what your competitors are sending out, then you are not going to be successful with this type of marketing campaign—at least, not on your own. 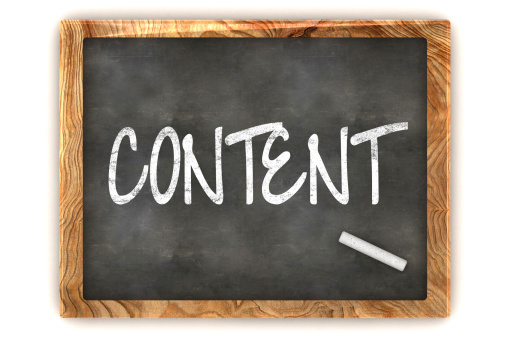 STILL HAVE QUESTIONS ABOUT CONTENT MARKETING? Contact 814 Interactive now for your free consultation! We provide a quick and actionable review of your digital marketing and provide you with a strategic plan to bring you MORE TRAFFIC, MORE CLIENTS, & MORE PROFIT! !